Tacori jewelry fuses classic glamour with modern sophistication. Whether you're looking for a timeless investment piece or a fashion forward statement-making design, we invite you to explore the Tacori collection. 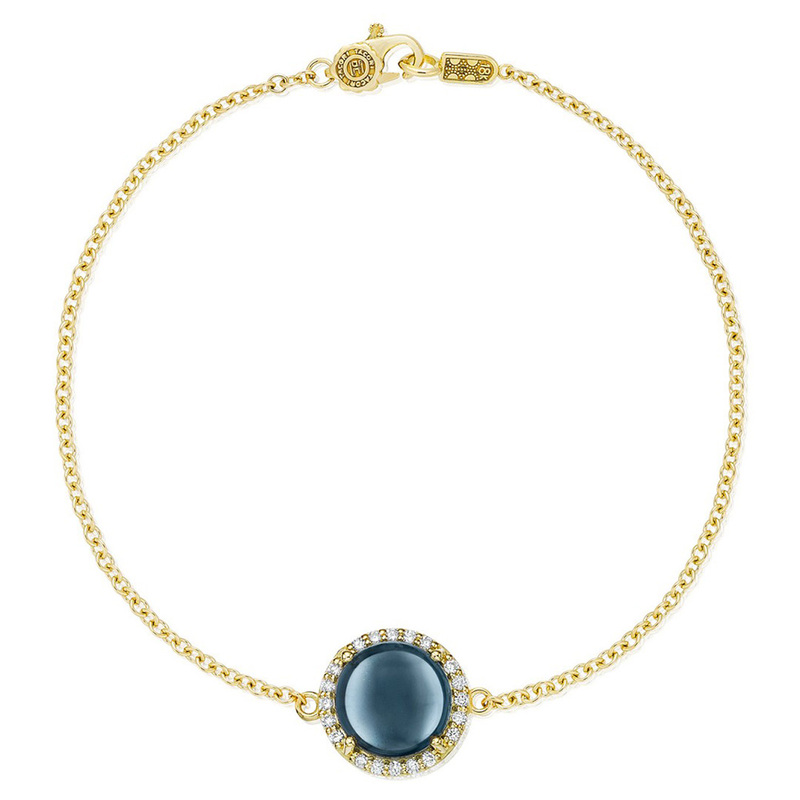 From our new Golden Bay collection, this charming bracelet is sure to be the envy of all. A stunning cabochon sky blue topaz over hematite gem sits on a bed of diamonds and yellow gold to create a bracelet that will look good on any skin tone. Available in 18k Yellow Gold. Color / metal choice may be available to select in the "drop down" box in the "add to cart" area. Other variations may be available. Please call or chat with us! Sky Blue Topaz over Hematite.